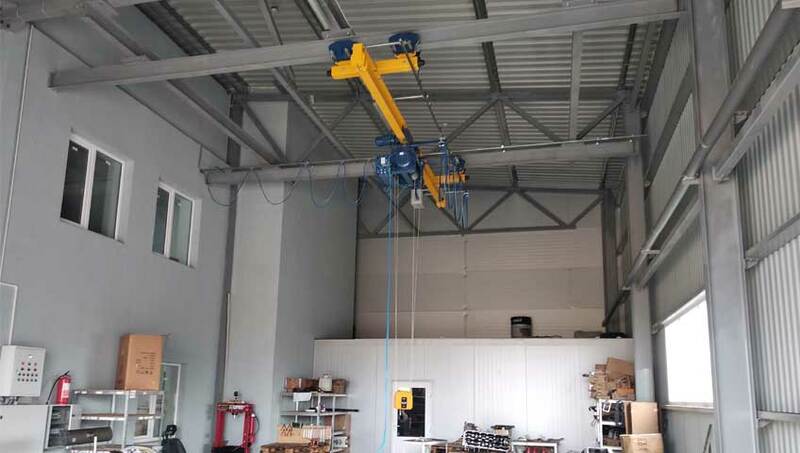 After receiving the technical assignment, the sales staff together with colleagues from the design department of «Kyiv Crane Machinery Plant LLC» developed and offered to automasters a rather non-standard solution for the construction of an suspended crane, the advantage of which is the maximum coverage area in the workshop due to installation of consoles extending beyond the crane runways. 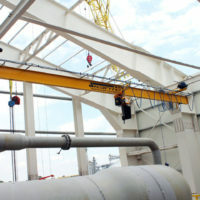 Also, thanks to the extensive experience in supplying crane equipment for the repair of various equipment, our staff understood that having multiple speeds, including the micro-speed of lifting and moving the crane, would ensure accurate positioning of the load without jerking, and would almost completely exclude the possibility of damage to both movable parts and units, so is the faucet itself. In addition, this option (the use of multiple speeds) allowed the auto repair shop employees to quickly carry out precise work, including the assembly of small parts. 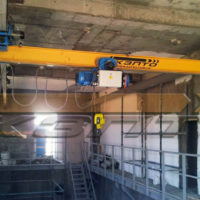 group mode of operation according to ISO or GOST - A5 (medium). motor gears of movement and lifting. 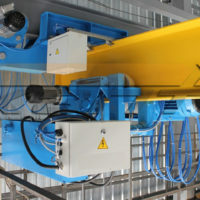 current lead - flexible cable on a rigid Festoon-type profile. 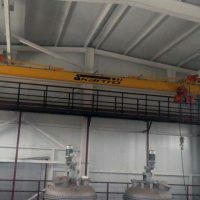 For additional safety, the crane is equipped with a hoist travel limit switch, a load limiter, a thermal lift motor and a phase control relay. 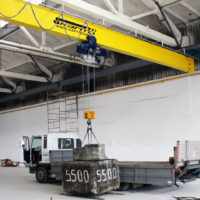 After production, this crane was fully assembled and tested on the territory of the «Kyiv Crane Machinery Plant LLC». 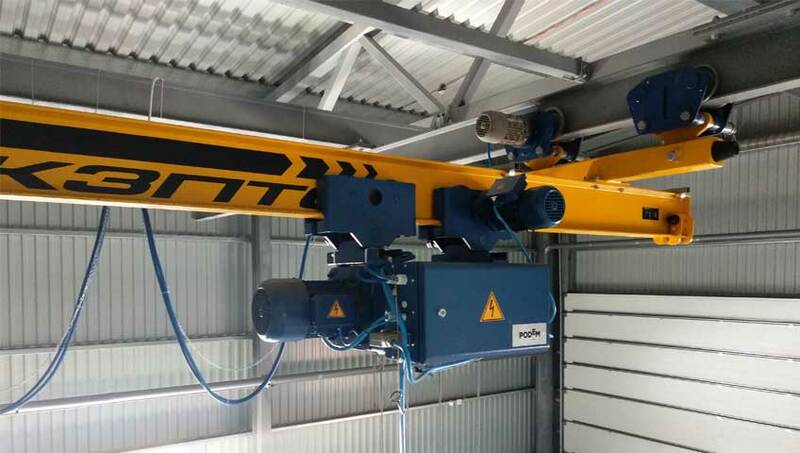 Thanks to this, installation of all lifting equipment, commissioning and on-site testing were successfully carried out within just one working day! 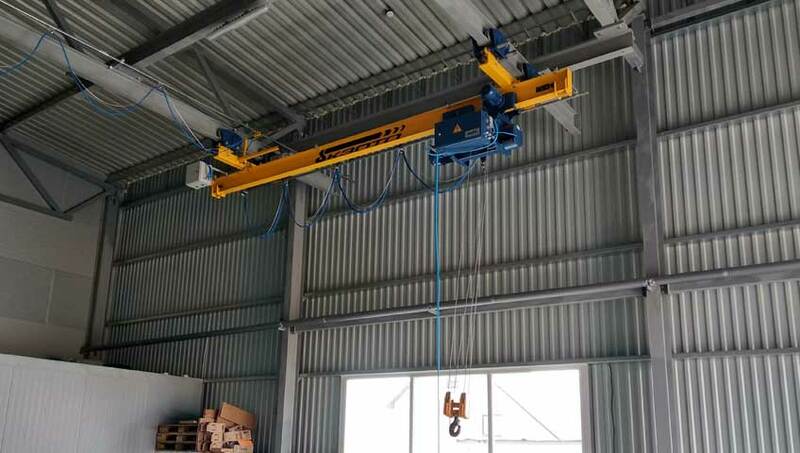 Currently, the suspended electric crane is used in the auto repair shop for routine maintenance, disassembly, assembly and repair of various agricultural machines. 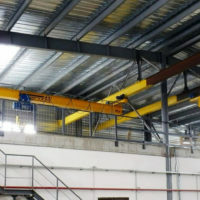 Its use has made it possible to greatly facilitate the work of the workshop staff and significantly speed up the execution of technological operations. 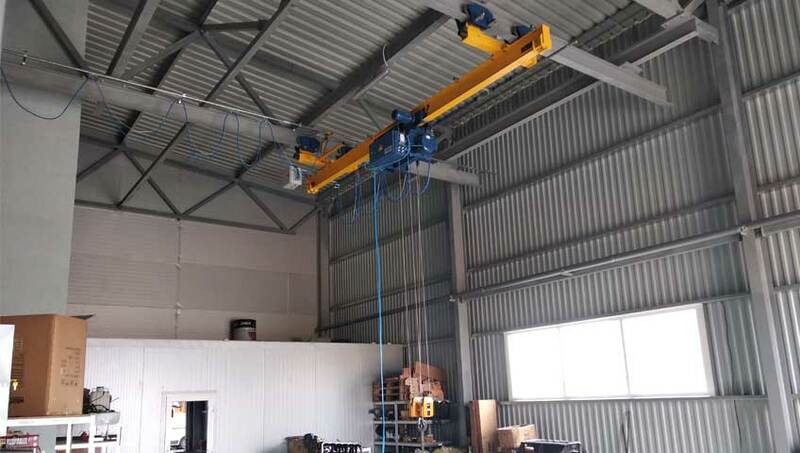 Of course, the auto repair shop customers are also satisfied, because many types of work here began to be performed much faster!